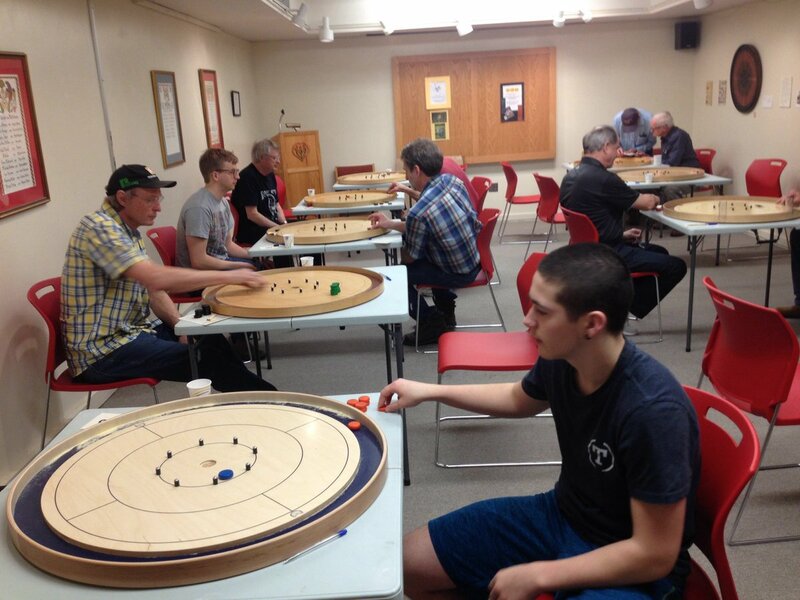 Through the first 25 years of the Waterloo County Crokinole Classic only 3 clubs had laid claim to the team title, and even when the legendary Cameron Heights Teachers Club folded, Varna and St. Jacobs traded victories while denying any new champions. 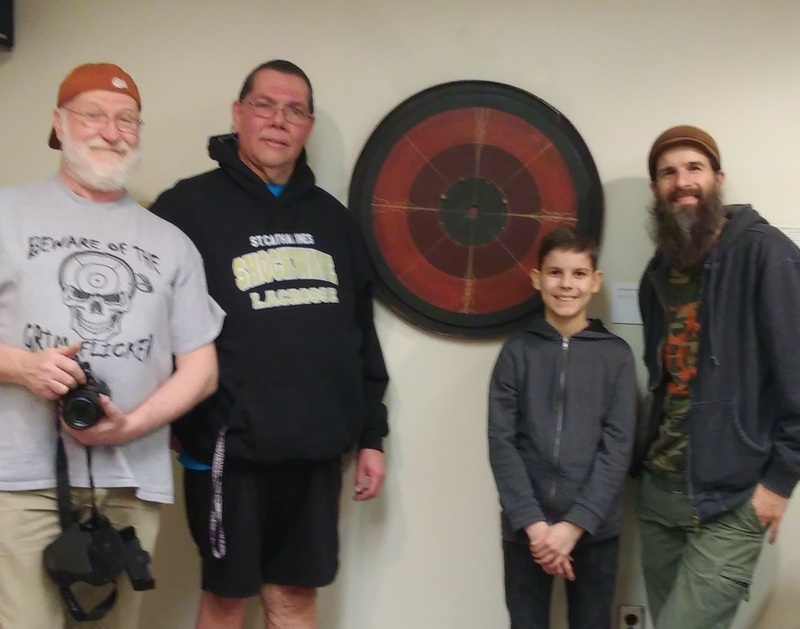 But as the Schneider Haus event turned past its first quarter-century, perhaps a new era began as the Waterloo Crokinole Club claimed the team title led by a first place performance from Jason Beierling. Master of ceremonies, Fred Johnston, began the day citing some history of the tournament and of game of crokinole. 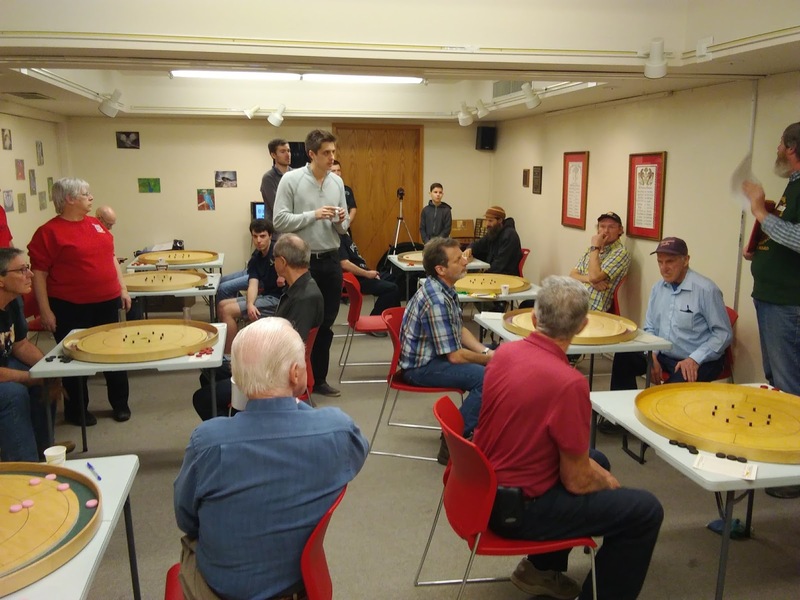 This included noting the efforts of Susan Burke in acquiring the oldest known crokinole board for the Schneider Haus museum, and then establishing an annual tournament in 1993, to provide an opportunity once a year to showcase the most prized board in crokinole history. Another notable piece was an excerpt from Wayne Kelly’s, The Crokinole Book, that references an early advertisement of the game of crokinole and promotes it as a game with “no objectionable qualities,” meaning no aspect chance, unlike the dreaded and forbidden deck of cards in the late 1800s. Still the reminder of why the game of crokinole had a wholesome appeal to those of the 1800s did not stop players from wishing each other good luck before the start of each game. 7 clubs were in the attendance, these included the the tournament mainstays of Varna, St. Jacobs and Preston who had been in attendance in the very first year of 1993, London and Waterloo who began to attend the event in the late 2000s, Scone who first attended in 2015, and the Golden Horseshoe team forming for their first appearance in the event. Waterloo was off to a good start, leading the way with 263 points, followed by St. Jacobs at 240, London at 234, and Varna at 197. But to come in the afternoon, following the generous lunch and pie of the Schneider Haus staff, were several key head-to-head matches that would determine the winners of the day. London started the afternoon very strong, and while they may not have known it, quickly surpassed St. Jacobs. Dwayne Campbell was instrumental in that as he was the biggest mover in the afternoon, jumping from 14th at the halfway mark to 8th in the afternoon. However, Waterloo continued to post strong numbers in the afternoon, which would be enough to hang on the lead they established in the morning, and with four games left the only question left to answer was that the individual title. At that point, Jason Beierling was in first with 125 points, while Justin Slater was in second with 118 and his final four games left against the Waterloo club. Ray Beierling sat 3rd at 115, Walsh in 4th at 113, and Andrew Hutchinson in 5th what else is new at 112. It was in Game 21 that Slater erased the 7 point deficit entirely with an 8-0 victory over Jason Beierling, to momentarily have first place. A few places down, Andrew Hutchinson and Ray Beierling finished strong to end dead-locked at 136, while Walsh fell back ending at 126. Jason Beierling rebounded from the “skunking” earning 17 points in the last 3 games. Justin Slater then finished his set of games against the Waterloo club, winning 6-2 against Reid Tracey, 5-3 over Nathan Walsh and tying 4-4 against Andrew Hutchinson. That left Slater with 141 points, and Jason Beierling with 142. And with the scores being so close, each of Tracey, Walsh and Hutchinson were willing to take the credit for "helping" their Waterloo teammate to grab the narrowest of victories as Jason Beierling earned the individual title for the first time. As it was painfully pointed out to Slater, this marked the second straight year where he earned a 2nd place at this event by only one point to a Beierling. Interestingly, Ray Beierling’s individual victory in 2017 also had Jason Beierling in 3rd. So 2018 saw a reversal of the Beierling sandwich at the top of the standings. 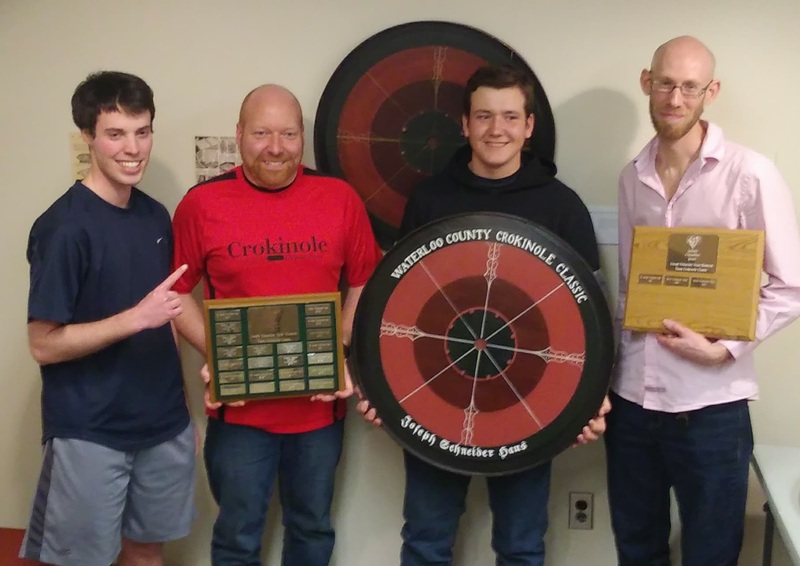 The win for the Waterloo Crokinole Club is the first in its history, after the club first made an appearance at the event in 2010, and surpasses their previous best finish of 2nd in 2016. And with Winter over and Spring upon us, although it did snow today, some clubs have already ended play for the season while competitive individuals turn to the slightly more selfish pursuit of prestigious singles and doubles play that cap off the crokinole season. But this unique team event is a good reminder of the camaraderie that can be built around the simple game of crokinole. The game of no objectionable qualities. Incredible summary of the event. I believe the Golden Horseshoe has made at least one previous appearance. Congratulations to Waterloo for a solid team victory. I initially thought the Golden Horseshoe had been in attendance before, but upon checking my notes I believe the team was known as the Toronto Crokinole Club. You are correct Nathan, it was the Toronto Club that attended, I will have to check my photo archives to see who made up the team. We were not invited back however, I believe our objectionable quality was geographical. Do your notes happen to record where the Toronto club placed? Let me also add my appreciation for your insightful reporting of the event. Can't wait to hear about Budapest.